Many people dream of making their living room look glamorous, but they don’t always manage to get around to doing it. The good news is that making your living room look glam is not as difficult as you might think. Here, we are going to give you some tips on how you can do this. Make sure to keep reading if you’d like to find out more. If you really want to make your living room look glam then you are going to need to invest in a statement rug. This should be pretty bold if you want to make a statement and you should think about going for an interesting texture. Think about opting for a shaggy rug which can look amazing in white. This might be hard to keep clean, but it will add to the overall glamour of the living room. Everyone knows that the overhead lighting can make a huge difference to how the living room looks, and this is why you need to go big. Think about investing in some sparkly ceiling lights that are going to make a statement up there. You want your guests to be impressed by your chandelier or interesting shape that you have gone for. Choose a bold design and this will draw their attention and make it look more glam. Another great way to make your living room more glam is to add some custom window treatments. These should have either a bold design or a color on them that will match the rest of the room. It is important that your custom curtains reach from the ceiling to the floor or else they won’t make it look very glamorous. Take a look at some inspiration online and make sure to measure your curtains before you make the purchase for the desired effect. The ultimate way to glam up a living room is to add some amazing floral arrangements. It is important that your flowers are real if you want to have the best effect in terms of glamour. Make sure to choose bold pink flowers and always put them in an equally glam vase. Go big and avoid choosing too much greenery if you want to keep up with the glamorous theme otherwise it will look more like a garden than a glam living room. 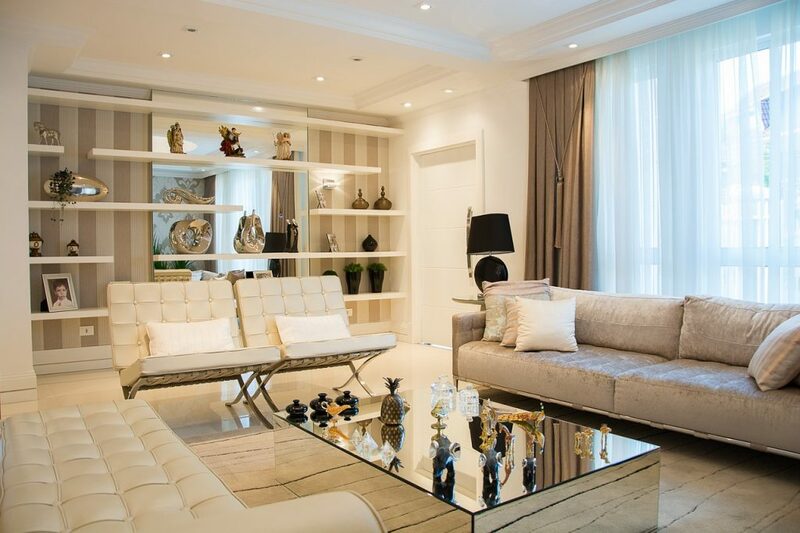 Our final tip for those who want to make their living room more glam is to add some crystal accessories. Think about your cabinets, any mirrors you have in your living room and the vases that you use for your floral arrangements. As long as the item is not tacky, you should be able to achieve the desired glamorous effect using some crystal accessories. Don’t forget to shop around to find the perfect accessories that are going to reflect your amazing décor. Everyone loves a bit of glam and this can be easily achieved when it comes to living room décor. If you want to achieve this look then you should make sure to follow the tips that we have given you in this article. 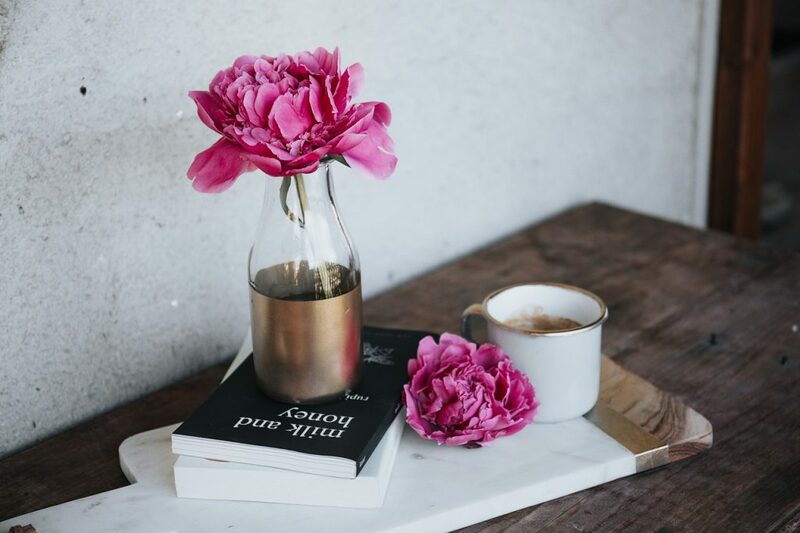 Think about adding some amazing floral arrangements to some crystal vases and adding some floor-length custom curtains from All About Interiors. You should also make sure to invest in a statement light fixture on your ceiling to really make the room shine. Try out these ideas and soon you should have an amazing looking glamorous living room that you can show off to all of your friends when they come to visit.